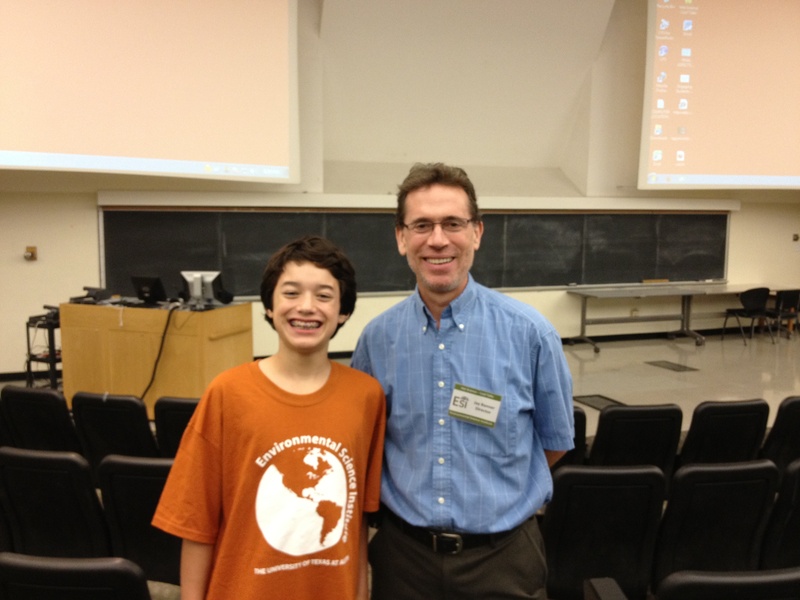 If you’re student of any age, but especially if your a kid, the Environment Science Institute at the University of Texas at Austin has an awesome program called Hot science – Cool talks where you can go and listen to scientists talk about their research. You’ll want to get there early since they have a lot of fun activities for kids before the presentation. At the September 2011 talk, Building Memories for Tomorrow: How Our Brains Predict Our Futures, Dr. Alison Preston, an Assistant Professor in the Department of Psychology and Section of Neurobiology, talked about the importance of the hippocampus and how it plays a role in our short term memory. One of the pre-lecture activities involved you putting on a blindfold and headphones with white noise. Another student took you down a path and you had to walk your way back by yourself. I took a diagonal route to where I started and had a lot of fun with the experience. At a presentation a while back, one of the activity booths had students placing flowers, carrots, and other objects into liquid nitrogen. When we pulled out the flower, it looked almost like the unfrozen flower, but when we crushed the top, the petals crumbled apart like red dust. Very cool! Is that you, Commander Ben? What a fantastic surprise! Dr. LeeAnn Kahlor, an associate professor with the department of advertising and public relations, recognized me from my invasive species videos. She introduced me to a bunch of other nice professors. That made my evening very special! I was very happy. Thanks Dr. Kahlor! 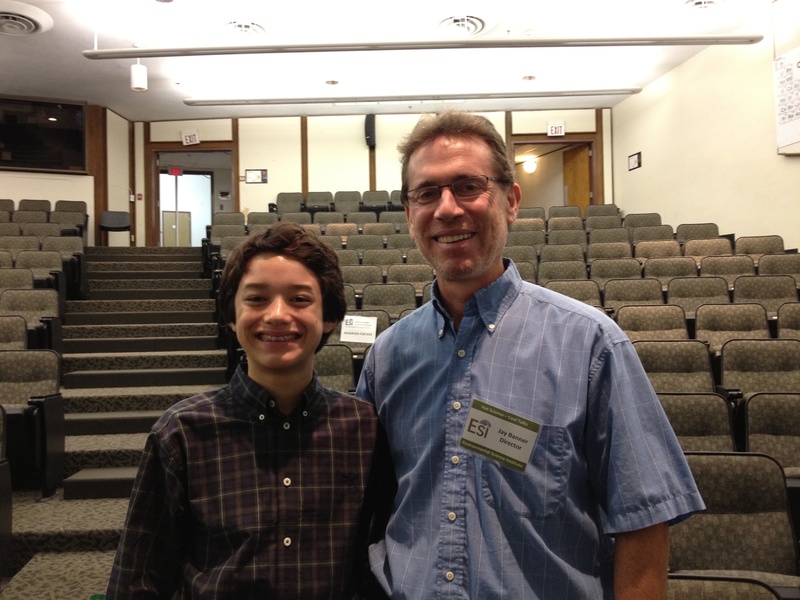 I met and talked with Dr. Jay Banner, Director of the Environmental Science Institute. 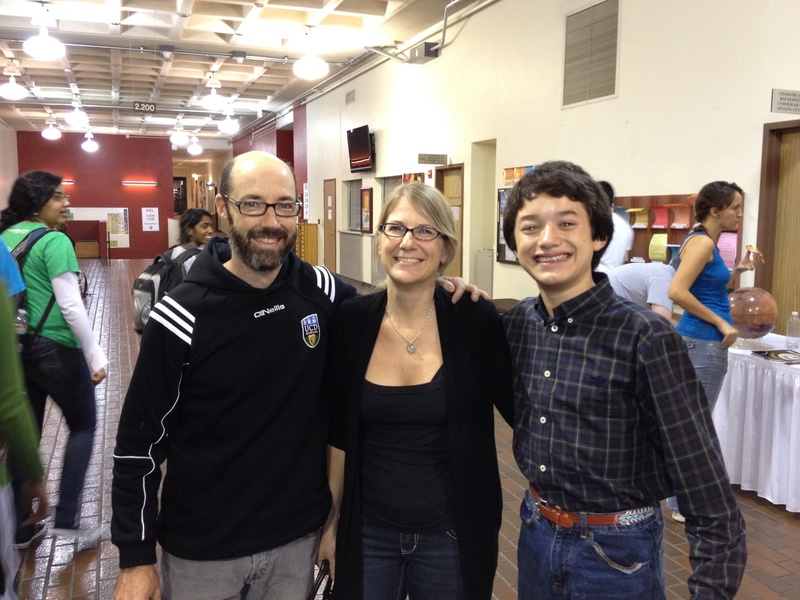 He’s also an amazing professor with the department of Geological Sciences. Dr. Banner has a passion to get kids excited about science, and the Hot Science – Cool Talks lectures are a great way for kids to learn about science and have fun at the same time. During the October 2011 presentation, Dr. Helper talked about using NASA robots and other vehicles in a large impact crater in Canada to help test techniques for future human planetary exploration. Geologists are important to identifying the history of planets and where to explore. For example, Harrison Schmitt was an astronaut who walked on the moon and helped identify and collect rocks for further study. Meteorites are about as close as you can can get to an invasive species in geology. They come from outer space and crash land on Earth. 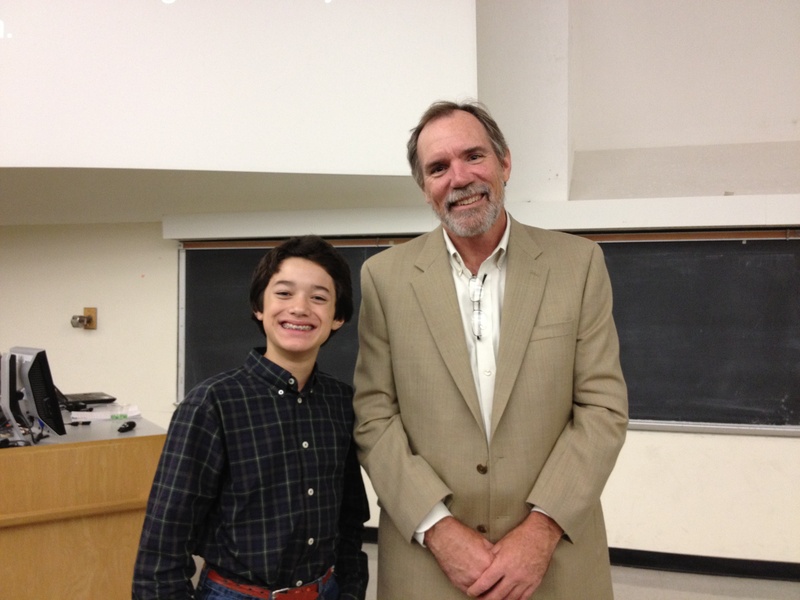 I talked with Dr. Helper about meteorites. He said that they can tell us a lot about the history of the solar system and of other planets. A meteorite from Mars may have clues about the possibility of life on other planets. Exciting stuff!